Modern Stockholm Residence | Shelby White - The blog of artist, visual designer and entrepreneur Shelby White. 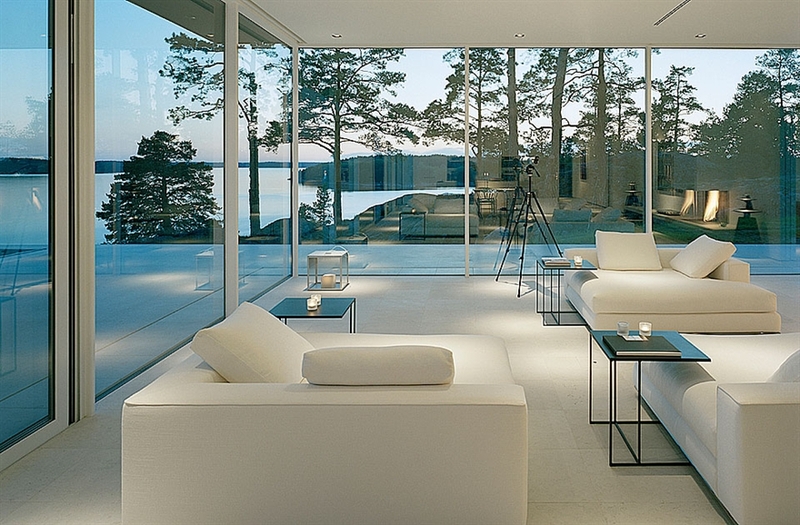 Modernism is at its best with this living space. 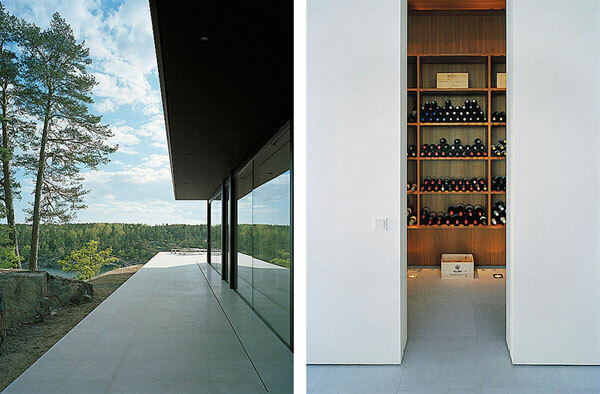 Limestone, concrete, glass and steel provide a complimentary contrast to the landscape while it sits atop the beautiful Swedish rock outcrop. 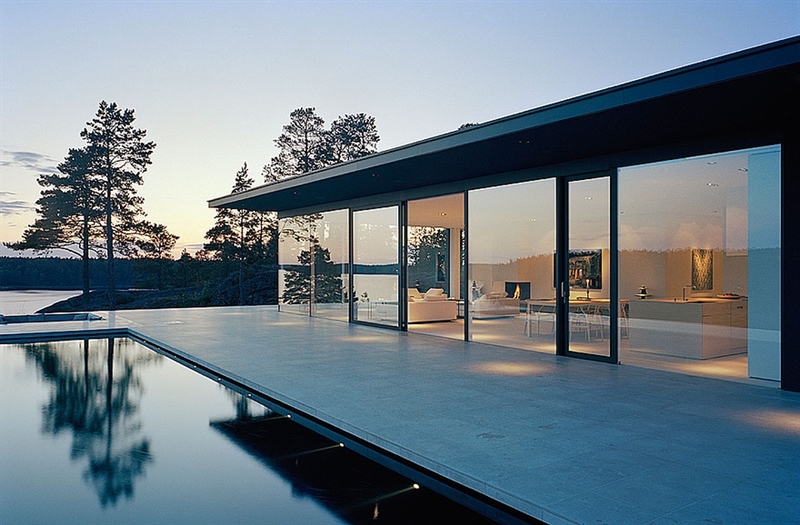 The architect John Robert Nilsson designed the home to look West to maximize the amount of light inside throughout the day. The infinity edge pool and hot tub fit so smoothly into the concrete at the foundation’s edge without hindering the rest of the design. Some parts of the house that aren’t in the pictures above are an outdoor fireplace, three private bedrooms, three bathrooms, and storage. The house must be larger than it looks. Anyone want to take a stab at the price? Oops missed that, thanks Jordan. I was taken by the Wilkinson House in Oregon, and it reminded of a similar home I stayed in in North Carolina. 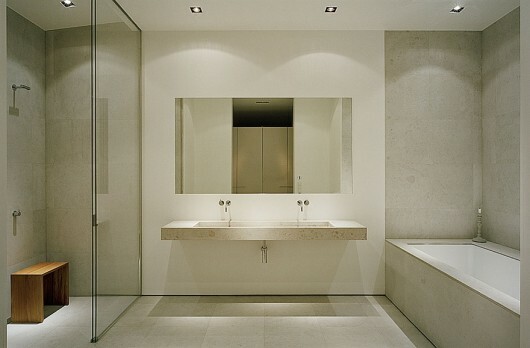 Similar in the sense that it waswell designed for its setting and blended well with the surroundings. So, as I’m totally going through old posts on this site because I’m a big fan of architecture, I stumble on this post and tell myself “You know, I’ve seen this recently from somewhere”. Once I saw the third pic and looked at the interior, it was all but confirmed; this house is totally in the new Girl with the Dragon Tattoo movie. There seems to be one room in particular that is missing from this photo shoot though ;). @Scott I don’t think we need to see that room!